The University of Georgia Office of Research has named Yajun Yan its 2018 Academic Entrepreneur of the Year. Yan, an associate professor in the College of Engineering, leads UGA’s research in microbial production of biofuels and high-value chemicals. His work has led to six issued U.S. patents and several pending patent applications. Sponsored by the University of Georgia Research Foundation, Inc., the UGA Research Awards Program recognize excellence in UGA research and scholarly creativity. Awards are presented annually to honor outstanding faculty and graduate students. The Academic Entrepreneur of the Year Award recognizes a faculty member who has started a company based on research originated at UGA. In 2014, Yan and his colleague, Yuheng Lin, co-founded BiotecEra Inc., which is developing and commercializing innovative microbial technologies to achieve sustainable, economically viable and eco-friendly production of industrially valuable pharmaceuticals and commodity chemicals. Located in the UGA Innovation Gateway incubator, BiotecEra Inc. has secured state funding through the Georgia Research Alliance, federal funding through the Small Business Innovation Research program and private investment from an angel investor. Yan's research also formed the basis for a second startup, HGG Research LLC, which is developing methods to synthesize various natural compounds in probiotic strains. 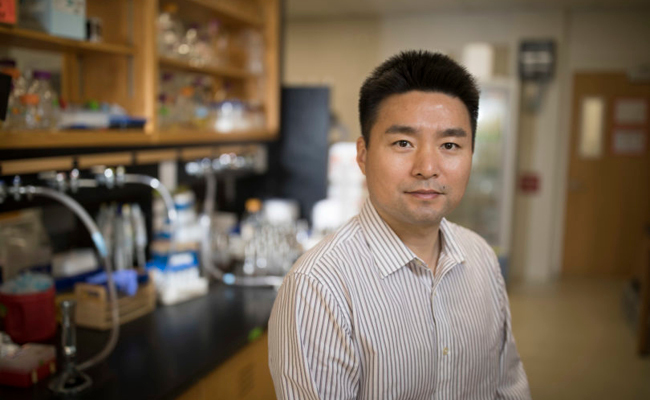 Since joining the UGA faculty in 2010, Yan has been an advocate for entrepreneurism among faculty colleagues while leading the Biosynthetic Engineering and Biocatalysis Laboratory.